Published by Cambridge University Press (2017/2018). Publisher's description: "This book offers a new interpretation of the metaphysics of Charles Peirce (1839–1914), the founder of pragmatism and one of America's greatest philosophers. 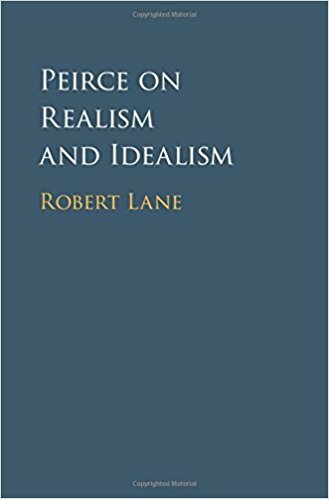 Robert Lane begins by examining Peirce's basic realism, his belief in a world that is independent of how anyone believes it to be. Lane argues that this realism is the basis for Peirce's account of truth, according to which a true belief is one that would be settled by investigation and that also represents the real world. He then explores Peirce's application of his Pragmatic Maxim to clarify the idea of reality, his two forms of idealism, and his realism about generality and vagueness. This rich study will provide readers with a clear understanding of Peirce's thoughts on reality and truth and how they intersect, and of his views on the relation between the mind and the external world."